← Why do some lawyers share knowledge (and others don’t)? I’ve been thinking about After Action Learning (AAL) for a while and will be looking into it more deeply for a Managing Partner article next month, but in the meantime, this caught my eye on Pinterest. 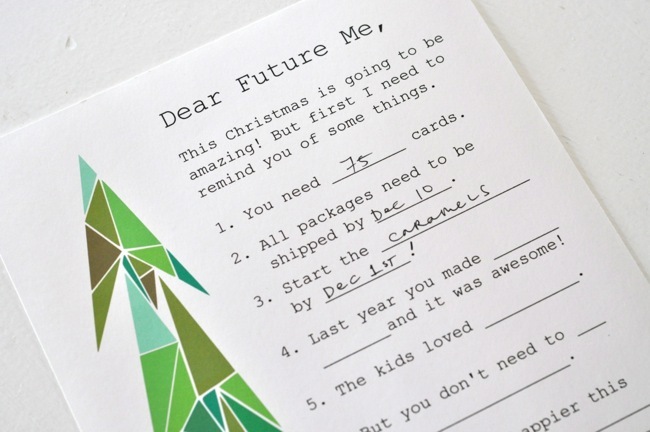 Meg Freeman blogged recently about how she was planning to make next year’s Christmas less stressful by writing her future self a letter while the lessons were fresh in her mind. I thought it was a simple and delightful form of personal AAL or “lessons learned”. Would this type of personal AAL work better for you? Would you be more honest and/or learn more if your lessons learned didn’t have to be shared with the whole team/department/firm? How does AAL work (or not work) in your firm? Help your firm set up its own AAL system which suits its culture – IT system or letters to your future selves! I also talk about AAL in my popular “KM: The Works” training session. The next one is on 28th January 2016. Find out more here. This entry was posted in KM, Personal Knowledge Management, Training and learning, Uncategorized and tagged AAL, future, KM, learning, lessons learned, pinterest, PKM. Bookmark the permalink.